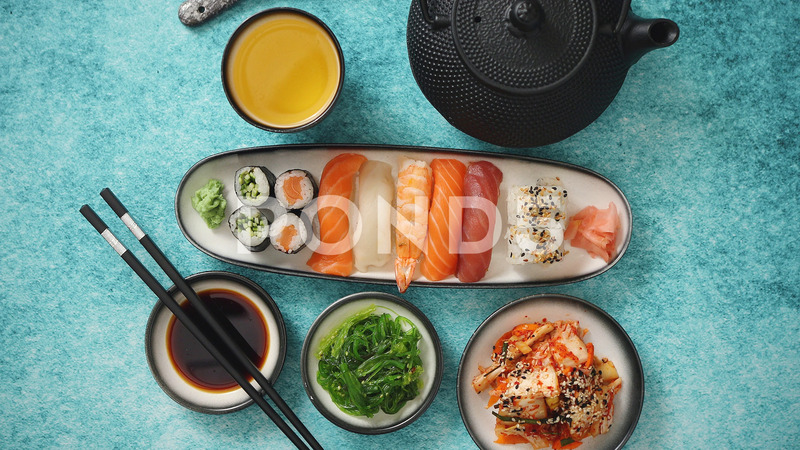 Description: Various sushi rolls placed on ceramic plates. Traditional iron tea pot and green tea in cup. Kimchi and goma wakame salads. Soy souce and chopsticks on sides. Blue background with copy space.